Peas anyone? Eat them fresh. Can also steam them, or put in stir fry. 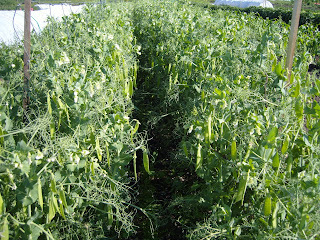 Now that's a crop o'peas! Happy shelling! WOW! That's a lot of peas! Glad you are enjoying your garden time.